Several European transport authorities are planning to work in partnership to procure new tram-trains in order to bring down the cost enough to make the transport mode more commercially viable. The VDV TramTrain association is now planning to draw up a specification for the new vehicles and has said it could order up to 300 new tram-trains. 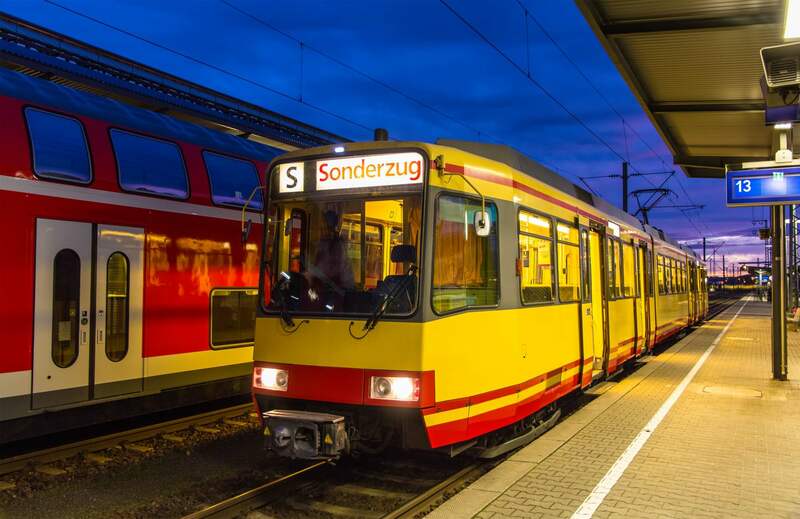 The new association includes Karlsruhe’s transport authorities, Albtal-Verkehrs-Gesellschaft (AVG) and Verkehrsbetriebe Karlsruhe (VBK), Saarland tram-train operator Saarbahn Netz, Kassel operator Kasseler Verkehrs-Gesellschaft, Upper Austria’s Schiene Oberösterreich, Erms-Neckar-Bahn and Regionaltangente West in Germany’s Rhine-Main area. AVG and VBK would receive more than half of the new vehicles under the arrangement. AVG said it had already been approached by other transport companies interested in adopting the so-called Karlsruhe model tram-train system. VDV TramTrain plans to launch the tender in autumn 2018, receiving the first new tram-train vehicle in autumn 2021. Up to four vehicles will be tested on each of the participating networks before delivery of the production vehicles begins in 2024. The transport companies have been working together since 2009 and believe they can achieve savings ‘in the three-digit million range’ through a joint procurement and speed up the approvals process. VDV has said the tram-trains will be available as two or four-door vehicles and will be able to meet different platform heights and maximum axle loads.